Broadcasting over-the-air (OTA) is reception with a UHF/VHF broadband (indoor or outdoor) antenna. Cable/satellite/internet service is where a viewer is using a "TV set" as a display or monitor with a ‘set top box' from the cable/satellite/internet company. There is no such thing as a "digital" antenna. Any quality indoor or outdoor antenna will work for televisions. If you have any indoor or antennas billed as a "digital" antenna, consult the instructions and manuals that come with it for more information and details for troubleshooting any signal or reception problems you may have. Digital television (DTV) sets have round screw-on type antenna inputs that only accept coaxial lead in wire. Some antennas have terminals or output wires that will require the use of a matching transformer or "balun". This is true of older indoor antennas with flat wire, about a half inch wide, with two fork type connectors. Outdoor antennas with terminals that look like two bolts with wing nuts will also need a "balun". Some antennas are VHF (Very High Frequency) or UHF (Ultra High Frequency) only and will receive only stations 2-13 or 14-51 respectively, but not both. All television markets in Arkansas require dual band VHF-UHF antennas in order to receive all possible AETN and commercial stations. Be sure your antenna is a combination VHF-UHF type. Most outdoor antennas will consist of a horizontal boom with cross members of varying lengths extending through it along its length. At one end of the horizontal boom there will be a "V" shaped section consisting of two shorter booms also with cross members of the same length extending through them. If your antenna does not have both of these features, it is not a dual band VHF-UHF antenna. Check the specifications on the package to be sure. Outdoor antennas should have high quality coaxial wire connected between it and the television set. Any wire older than ten years should be replaced. Depending on the market area, a power rotor should be installed on an outdoor antenna. Most Arkansas television markets have transmitters in various locations requiring antenna re-pointing to maximize signals from different stations. All outside antenna installations must be grounded properly according to the manufacturer's instructions to prevent injury or fire caused by lightning. All outdoor antenna installations must be in areas safely away from power lines entering the home. Antennas should first be connected directly to the digital input of the digital TV set. Do not install splitters or connect multiple TV sets to a single antenna. Only after a reliable signal is received should experimentation with signal splitters and other devices on a single antenna be undertaken. If the signal strength falls below the minimum necessary to receive a broadcast station, the picture will disappear and the antenna may have to be connected directly to a single TV set to once again receive a signal. As already mentioned, consult your guides, manuals or instructions for your entire antenna and other television equipment for troubleshooting tips about their use. It may be necessary to go outside and rotate or move your antenna pole (or if hanging in your attic) towards the AETN transmitter site nearest your home for improved signal or reception. Indoor antennas can come in various styles. Combination VHF-UHF antennas will have both a loop of wire or a piece of sheet metal in the shape of a halo or bow-tie, and two telescoping rods (aka "Rabbit Ears") that can be extended to approximately four feet in opposite directions. Indoor antennas in rooms such as kitchens, or bedrooms with large mirrors may not receive a good digital signal. Large metal objects such as major appliances and copper-backed glass mirrors can block or reflect signals. Indoor antennas may need to be moved, rotated, raised or lowered around the room to receive a digital signal. Telescoping rods ("Rabbit Ears") may have to be lengthened or shortened to receive different VHF channels. Loops or bow ties may have to be rotated to receive different UHF channels. It may be necessary to rotate or move your antenna towards the AETN transmitter site nearest your home for improved signal or reception. Experimentation is the only way to find a good strong signal with an indoor antenna. Many antennas need to be aimed towards the transmitter to get the best signal from the desired station. For indoor antennas, you may need to do this by trial and error. For outdoor antennas, a rotor that re-orients the antenna can improve performance. KETS Channel 2 broadcasts from Redfield about 25 miles south of Little Rock. KETG Channel 9 broadcasts from Gurdon, about 15 miles south of Arkadelphia. KETZ Channel 12 broadcasts from Huttig, about 30 miles southeast of El Dorado. KAFT Channel 13 broadcasts from Winslow, about 20 miles south of Fayetteville. KTEJ Channel 19 broadcasts from Bono, about 10 miles, northwest of Jonesboro. Many consumers already know about the need to run the "scan" function on their digital TV (DTV) sets periodically. Scanning searches for and "remembers" the available digital broadcast channels. But in some cases simple scanning may not be enough. There is a procedure that is sometimes called "double re-scanning". It can clear your box's memory of saved channels. Disconnect the antenna from the digital TV. Re-scan the digital TV without the antenna connected. As with any scan follow the on-screen instructions or owner's manual for your device. Unplug the digital TV from the electrical outlet for at least one minute. Reconnect the antenna to the digital TV and plug the unit into the electrical outlet. Rescan the digital TV one more time. There are many, many different brands and types of TV's. You will need to consult any instructions, guides or manuals you have for any and all TV sets you own for troubleshooting tips. You also must follow all manufacturers' guidelines for installation of your TV sets and equipment. Antenna Amplifiers, Analog to Digital Converter Boxes, Cable/Satellite Boxes, VCRs, DVD/Blu-Ray Players, DVRs, Cables, Connectors, Adapters, Power Cords, Surge Protectors and Other Accessories, Devices and Equipment. You will need to consult any instructions, guides or manuals you have for any and all antenna amplifiers, analog to digital converter boxes, VCR's, DVD/Blu-Ray players, cables, connectors, adapters, power cords, surge protectors and other accessories, devices and equipment that you use for your television viewing, for troubleshooting tips. Try connecting your antenna cable directly to your TV if you are using a splitter or looping through a VCR (Video Cassette Recorder) or DVD/Blu-Ray player (Digital Video Disc). That configuration will cut down the strength of the signal reaching your TV. Your digital television reception can be affected by nearby moving vehicles, such as cars, trucks, trains and airplanes. In some instances, shadowing or reflections from these vehicles may cause your digital picture to temporarily break-up or even disappear completely. If this occurs, you should try moving or reorienting your antenna to find a position that provides the most reliable reception. If you are using an indoor antenna, switching to an outdoor antenna system which may include a directional antenna or rotor could improve reception. In severe cases, it may not be possible to completely eliminate the effect of nearby traffic. The same applies to nearby steel frame construction, especially if it is in the line-of-sight of our transmitters. Your digital television reception can also be affected by severe weather conditions such as storms, high winds and; heat and humidity. These reception issues can result from fluctuations in the broadcast signal that can be caused, for example, by moving leaves and branches on trees. After storms and winds you may have to re-orient your antenna. You can minimize the effects of high winds or storms by re-orienting your antenna to obtain the strongest available signal. If this does not work, a better indoor antenna or an outdoor antenna may help. In addition, make sure that outdoor antenna mounts are secure to minimize any movement caused by the wind. If you have cable or satellite television in your home you should consult cable or satellite guides, manuals or instructions for details and possible troubleshooting information. Next, you should contact your cable or satellite service provider and request a conference with their "Head End" engineers or technicians. Their front desk/customer service/call desk personnel are generally not prepared to answer any signal reception, engineering or technical issues. Note: Rescanning your TV if you use a cable or satellite box will not resolve any reception problems. You will need to contact your cable/satellite provider for assistance. As with your cable or satellite service providers consult your guides, manuals or instructions for troubleshooting tips from the various Smart or Internet TV devices (desktop and laptop computers, tablets, smart phones; including iOS, Android and Windows 10 devices, etc.) or the service providers you use (broadcast, cable and satellite companies, phone carriers and internet service providers). Next you will need to consult any paperwork you have for your internet service provider, also for troubleshooting tips. Finally, you should contact your Internet Service Provider (ISP) about any problems about receiving AETN or PBS content found there. 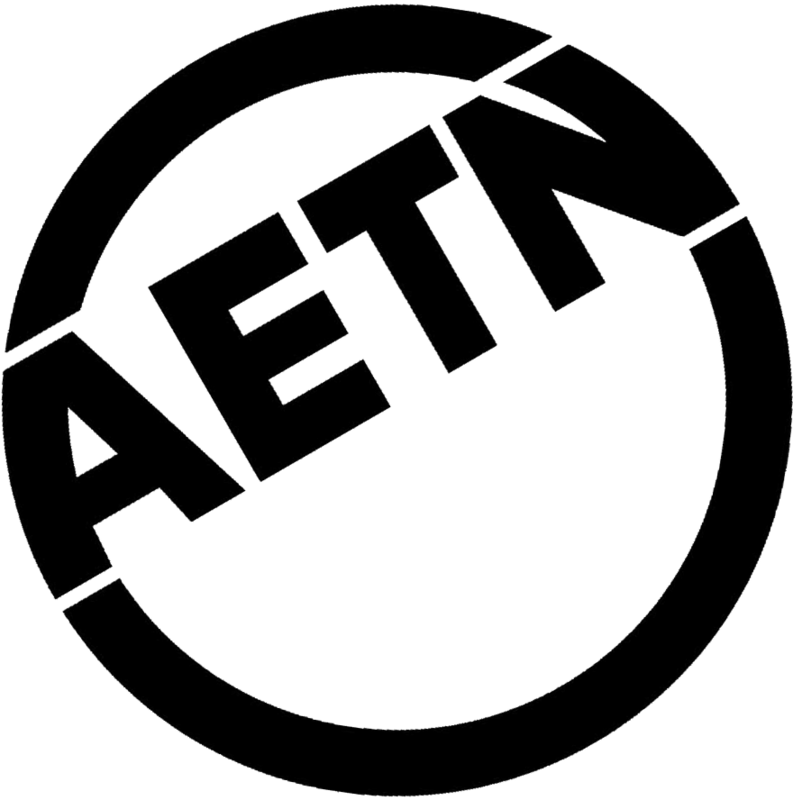 NOTE: At present, AETN does not yet have a Smart or Internet TV App; PBS, however, does on these platforms; Apple iTunes, Amazon Video, Google Play, Windows 10, Netflix, Android TV and VUDU. See: pbs.org/anywhere/connected-tv or pbs.org/anywhere/mobile for more details. AETN's website aetn.org has many of our programs, documentaries and series available online for viewing on your computer or other smart devices. They are also available on AETN's You Tube channel. Go to the drop down for "Viewers", then to the one labeled "AETN Programs A-Z", then to the program title of your choice. As always, if you have any difficulty viewing any of our programs online, call 1-800-662-2386 or email info@aetn.org and let us know, so we can make sure it gets back up and working again. Thank you. PBS's website www.pbs.org also has a number of programs that are available for online viewing, usually the day after airing, on your computer or other smart devices. 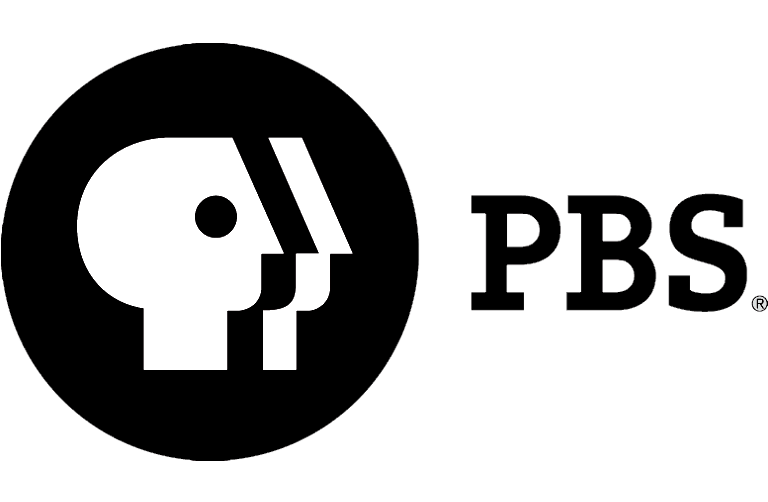 Those programs, however, have a limited time span online as PBS does NOT have unlimited rights to show programs on their website "In Perpetuity". Again, contact PBS at help.pbs.org if you have any difficulty viewing any of these online programs and let them know so they can make any need corrections or adjustments. For questions regarding the AETN contributor benefit AETN Passport call PBS support at 855-805-2386 M-F 9am - 10pm Central Time or go to: aetnfoundation.org/passport or pbs.org/passport. Thank you and we hope you continue to find TV worth watching and supporting on AETN.